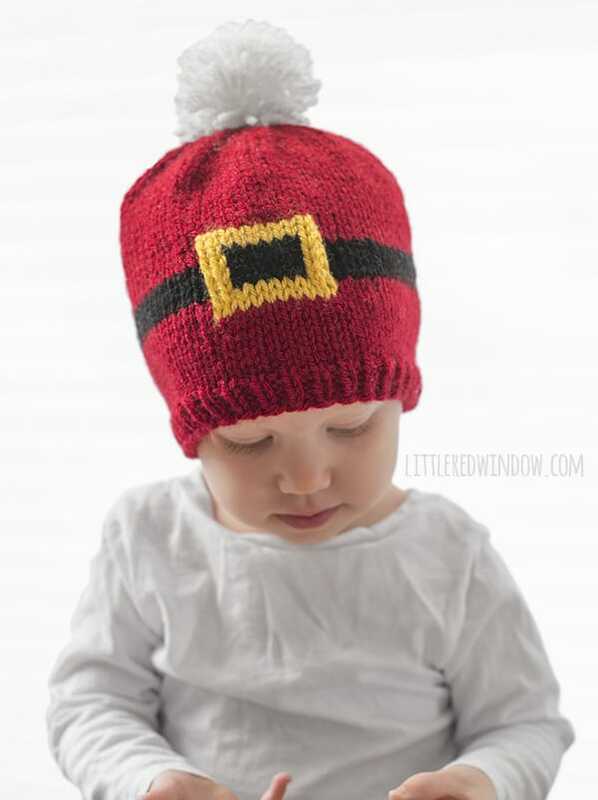 This adorable Santa Suit Hat knitting pattern is so cute for newborns, babies and toddlers for Christmas! Baby V is all ready for Christmas! 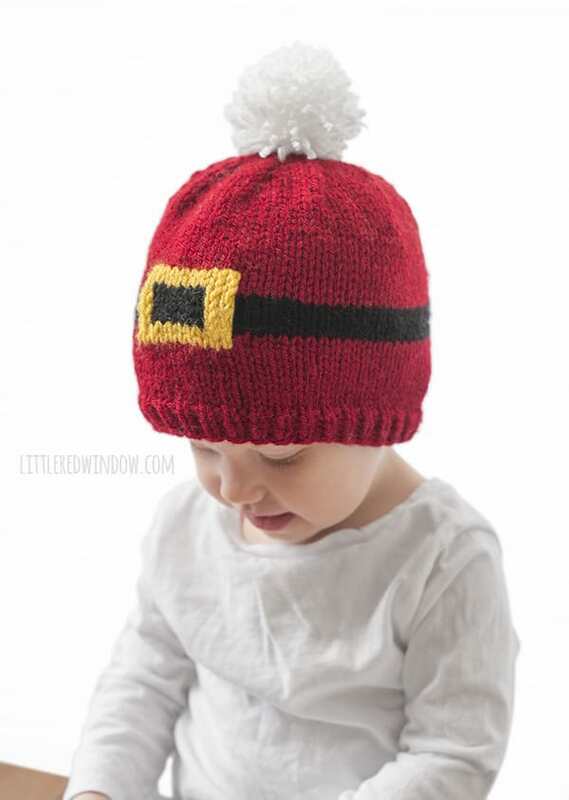 How cute is this little Santa Suit hat? 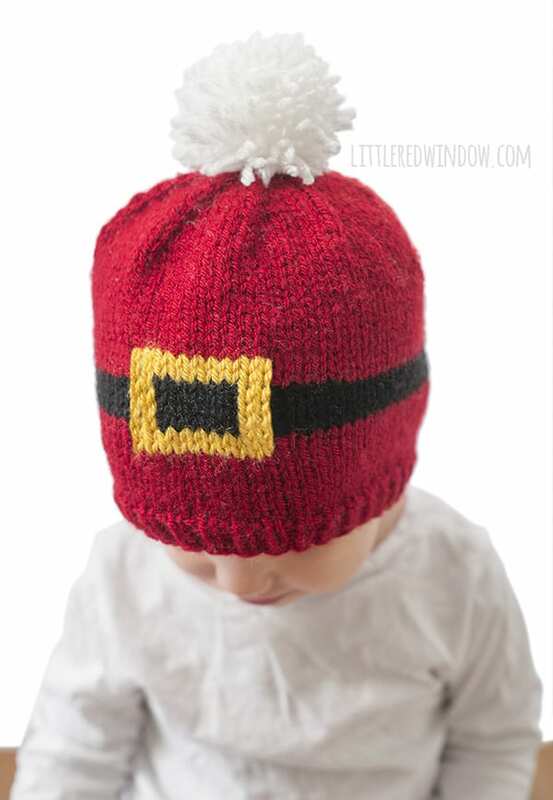 It’s go Santa’s black belt and gold belt buckle and a fun and soft little pom pom on top! 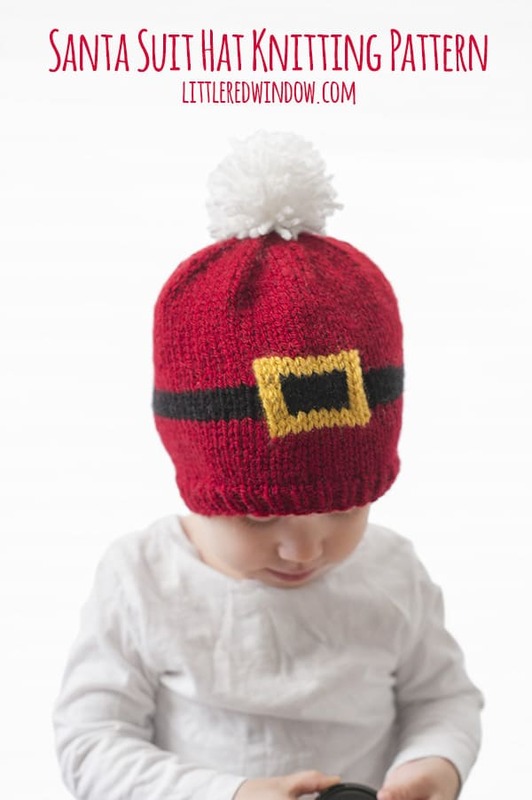 This hat would look so cute on any little one when you’re out and about for the holiday season and the best part is, we all dress our little one’s up in cute holiday clothes but most of the time they’re all bundled up in coats and snowpants and mittens anyway and you hardly get to see the outfit. So when you have a hat like this Santa Suit Hat that is cute AND keeps them nice and toasty warm, you’re all set! This Santa Suit Hat knitting pattern is knit in the round and requires some basic knowledge of knitting with more than one color at a time (technically this pattern qualifies as Intarsia knitting, not Fair Isle, because you don’t carry the yellow across the entire hat).